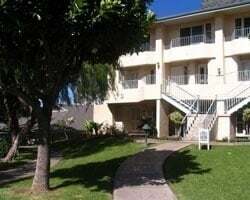 Hit the sand or the surf with your very own luxurious timeshare unit within Shell's Hawaii Owners Club. Vacation at different resorts each year and save up to 70% off retail costs today. What’s My Shell Owners Club Timeshare Worth? The Aloha State is calling—boasting a number of high quality vacation ownership resorts, Shell Owners Club – Hawaii can bring you years of great trips to the Pacific. Discover paradise at lavish beachfront properties that bring the very best of Hawaii right to you. From lounging on the soft white shores of Honolulu to trekking the black sand beaches of the Big Island, you can realize your vacation dreams each and every year with a Shell Hawaii Club timeshare. With many resort's offering instant beach access, gorgeous swimming pools, world-class dining, and a number of other amazing amenities, there will never be a dull moment during your vacations. 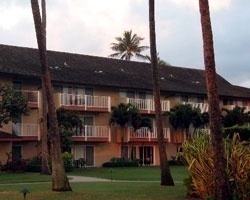 You'll find you have access to the very best in vacation accommodations at your Shell Vacations Club Hawaii resort. Many resorts in the collection feature tastefully-appointed studios and spacious multi-room suites big enough to sleep entire families or quaint enough to make that romantic getaway all the more special. With common in-unit amenities ranging from private balconies, to fully-equipped kitchens, to luxury bedding and furnishings, it's no wonder why the timeshares within the Shell Owners Club Hawaii are so popular among avid travelers. 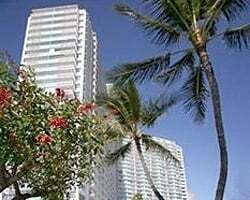 Are you ready to secure your Shell Hawaii timeshare? Fill out the form on this page to learn more about becoming an owner, or call a representative at 1-877-815-4227. 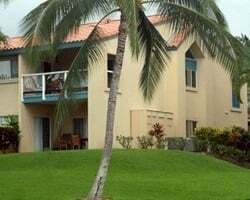 Purchasing a timeshare resale within the Shell Hawaii Home Club can earn you years of memorable getaways for much less than what most pay. Timeshare resales are sold by current owners at the resort instead of by the developer itself. Because of this, prices for the same ownership options sometimes fall up to 70% lower than retail costs, allowing you to cash in on a huge deal. You can net the same amazing ownership options and member perks and still save thousands. Resales within the club come in the form of SVC points, which you can use to make yearly reservations at Shell resorts. With the power to book your suite any time of year, you can take advantage of the ultimate vacation planning flexibility. What's more, as an owner with the Shell Owners Club – Hawaii, you have priority booking options up to a year in advance at any resort in the collection. Timeshares within the Shell Hawaii collection are affiliated with the Shell Vacations Club, one of the most rewarding and beneficial timeshare programs in the world. As an owner, you'll be able to reap the rewards of some unique benefits and privileges, like booking within SVC Collections and netting Premium Perks. Additionally, you'll be able to browse around for alternative vacation solutions at other Shell resorts—this will enable you to both spend your points within the Hawaii Club as well as at resorts in other clubs, vastly expanding your potential. The resorts in the Shell Vacations Club Hawaii collection are affiliated with Interval International, one of the world's leading timeshare exchange companies. By exchanging your timeshare, you gain the ability to let your resale ownership take you all over the world. With more than 2,000 affiliated resorts in its network, Interval is the perfect place to do that. Just deposit your Hawaii accommodations and choose from a list of comparable resorts. What's more, many of the Hawaii resorts carry Premier and Elite ratings from Interval International, which will undoubtedly work to give you a higher trading power when seeking an exchange, opening up the door for bigger and better vacations. Already Own at Shell Owners Club – Hawaii?